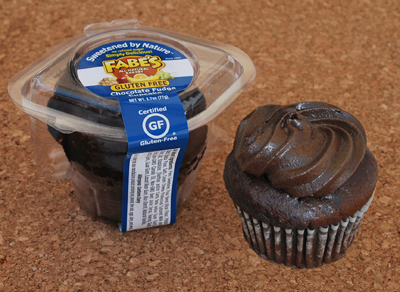 In a nationwide search for the best tasting gluten free chocolate cupcake, Fabe’s once again proves that products made with real ingredients – Sweetened by Nature™ – fruits, veggies and grains – can still deliver gourmet taste that both kids and adults love. Fabe’s All Natural Bakery’s wins Chuck E Cheese’s (CEC) gluten free taste test with their new gluten free Chocolate Fudge cupcake. Pitted against some of the industries top gluten free dessert competition, Fabe’s Chocolate Fudge cupcake, which is made with real ingredients and naturally sweetened with fruits, veggies and grains, won hands down for their delicious gourmet taste that even kids love. 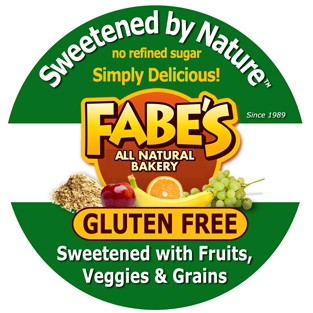 Fabe's has been a leader in baking naturally sweetened, healthy desserts since 1989. They offer one of the largest selections of gourmet cookies, pies, cakes and snacks for everyone’s personal food choices (gluten free, vegan, whole grain, wheat free, organic), and to the natural foods marketplace. For more information about Fabe’s All Natural Bakery visit http://www.fabesnatural.com, or about Chuck E Cheese’s visit http://www.chuckecheese.com.